This beautiful small tree or shrub if pruned for a hedge. 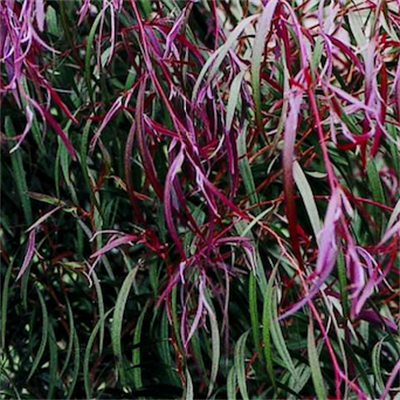 Lovely weeping form as a small tree with white flowers and burgundy foliage all year. Prefers well-drained sandy to heavy soils in full sun.